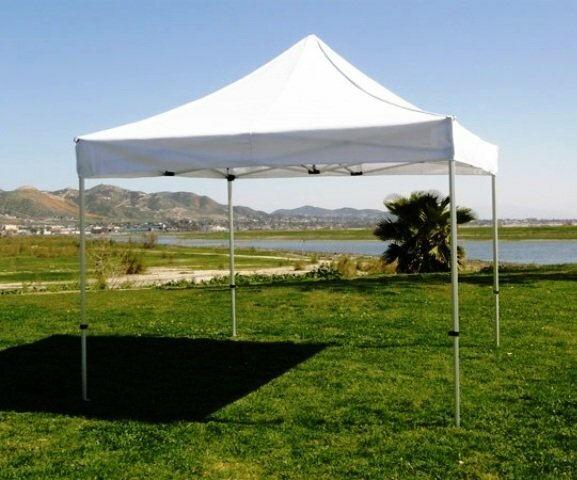 10x10 Free Standing Tent! Great for Driveways and area with no grass. Looking for a basic tent to help keep the grandparents cool during the summer? Kids in the shade for your small back yard party? Looking for a cheap solution? This is your best option! With this portable Tent we can set up on grass, gravel, concrete and blacktop. Optional side panels avaialble upon request. Great for many purposes. Comes with 4-8 Sand Bags to weigh down. $75 Tax Included. Tables and Chairs available.